The Kingsford difference is more edges for faster lighting. 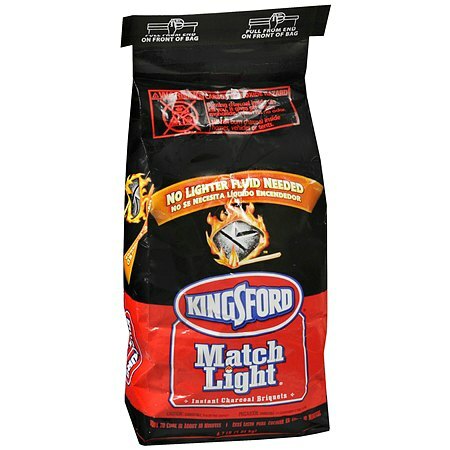 High-quality ingredients ensure long-burn performance.
. © 2010-2011 The Kingsford Products Co. CARBON MONOXIDE HAZARDBurning charcoal inside can kill you. It gives off carbon monoxide, which has no odor. NEVER burn charcoal inside homes, vehicles or tents. COMBUSTIBLE. KEEP AWAY FROM HEAT AND OPEN FLAMES. CONTAINS PETROLEUM DISTILLATES. STORE IN WELL-VENTILATED AREA. KEEP BAG CLOSED TO AVOID EVAPORATION. KEEP OUT OF REACH OF CHILDREN. This product complies with South Coast Air Quality Management District Rule 1174, Ref. C12.